The F1 is the first model of the new “F” Series jumpsuits. Designed to be comfortable, easy to fly, durable, reliable, and cool, it's made to be affordable for everyone. Quite versatile, it can be used as general purpose suit, free-fly beginner suit, or wind-tunnel flying. The F1 is all made of WindFlex, a 2-Way lightly stretch TACTEL® based fabric, combining strength and durability with superior fit and comfort. The Teflon® coating make the fabric breathable, but with some wind protection too. 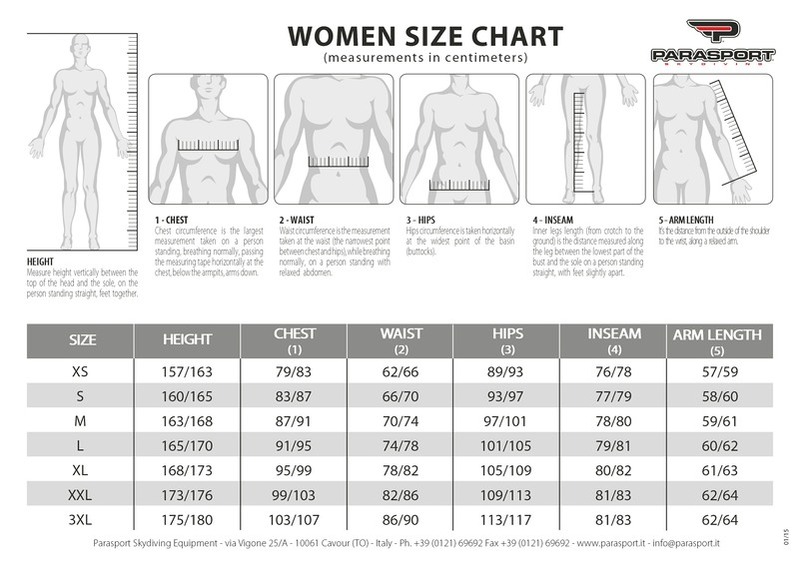 Know your body measurements to select the right size. Have someone taking your measurements on light clothes, without shoes, removing objects from pockets. Stand straight while being measured and follow the guidelines. Take your measurements three times or more to be absolutely sure about the numbers, and take care in not twisting the measurement tape. In doubt send us your measurements, and we will help you in selecting your size.